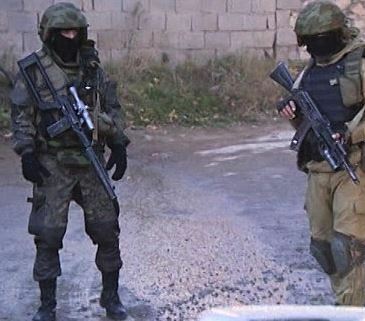 Russian news agencies marked the 15th anniversary of the Unified Group of Troops (Forces) — OGV(s) or ОГВ(с) — in the North Caucasus on September 23. The OGV(s) was, and is, the inter-service headquarters established at Khankala, Chechnya to command all Russian “power” ministry (MOD, MVD, FSB) operations at the start of what became the second Chechen war in 1999. The war that would bring Vladimir Putin to prominence and the presidency, and preoccupy him during his first years in power. Fighters means insurgents or terrorists from Moscow’s perspective. The body count isn’t the only metric. The MVD noted that OGV(s) units have conducted more than 40,000 “special measures,” destroyed 5,000 bases and caches, confiscated 30,000 weapons, and disarmed 80,000 explosive devices. 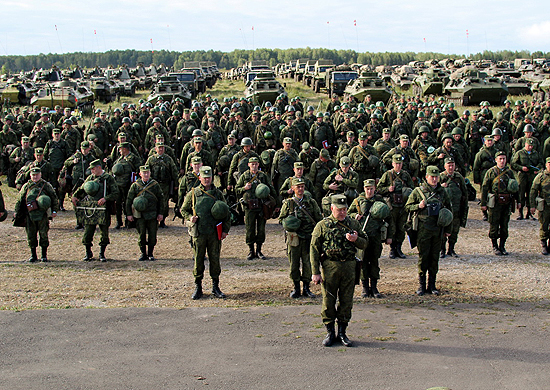 The Hero of the Russian Federation has been awarded to 93 MVD servicemen in the OGV(s) (including 66 posthumously). More than 23,000 MVD troops have received orders and medals. And the disparate North Caucasus insurgency still simmers. Senior Lieutenant Igor Igoryevich Sulim joins the ranks of new media whistleblowers (most recently, MVD Majors Matveyev and Dymovskiy). 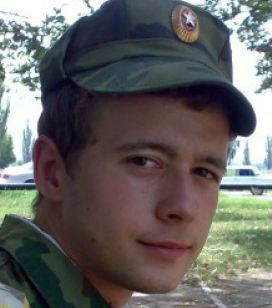 This 24-year-old senior flight-instructor of the Air Forces’ elite 4th Combat Employment and Retraining Center in Lipetsk has gone public complaining of corruption, specifically his commander’s systematic extortion of premium pay from his subordinates. Sulim made the charges in an open letter to Defense Minister Serdyukov, Investigative Committee Chairman Bastrykin, and VVS CINC General-Colonel Zelin, which he also placed on the Internet. Recall that premium pay – aka Order No. 400 or 400-A – is the stopgap measure Serdyukov instituted early in his tenure to raise military pay [for the best performers] until a new, higher pay system could be introduced starting next year. Premium pay’s allowed the officers to double, triple, or even quadruple their pay, but it’s also been plagued by problems and scandals from the very beginning. According to Sulim, every month when officers receive their premium pay, they have to give their commander, Colonel Sidorenko, a specific sum. In Sulim’s case, 13,600 rubles every month. Sulim says every month officers were picked to collect the money which went to Colonel Sidorenko. And Sulim’s command took him off flight status in retaliation. Now a host of investigators — from the VVS, the SK, prosecutors — have flocked to check out Sulim and his allegations. Where are we on this one? Uncontained by the Defense Ministry, this latest scandal could undercut the much-heralded launch of the new pay system next year. The draft law due for Duma consideration provides for continuing premium pay. 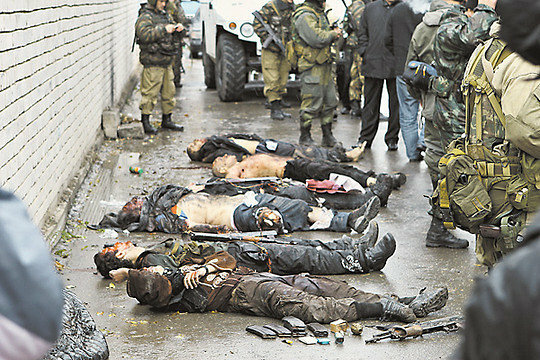 Extortion and theft damaged efforts to use combat pay as a motivator for service during the second Chechen war. There have always been problems with commanders and finance officers handling pay in cash. Commanders have used control of cash as a mechanism of control over their subordinates, as a zona-type obshchak for meeting unit needs or meting out a rough social justice, or, at worst, as a source of personal enrichment. For some time, the military’s talked about electronic funds transfer to avoid pay-related criminal activity. And Igor Igoryevich Sulim is apparently not just any young pilot. His father is General-Major Igor Vadimovich Sulim, just relieved of duty in early March as Chief of the VVS’ Directorate of Frontal and Army Aviation. It’s entirely possible that this personnel action has some connection to his son and his revelations, or vice versa. Finally, the national angle to the Sulim story. And what will it, like many other corruption stories, say about Russia’s national struggle against corruption (if there really is one)? For additional info on Sulim, see Lipetsknews.ru or his complete letter here. There are many infamous cases of premium pay machinations . . . for summary articles see Svpressa.ru or Baranets in Komsomolskaya pravda.